Item # 291737 Stash Points: 3,195 (?) This is the number of points you get in The Zumiez Stash for purchasing this item. Stash points are redeemable for exclusive rewards only available to Zumiez Stash members. To redeem your points check out the rewards catalog on thestash.zumiez.com. 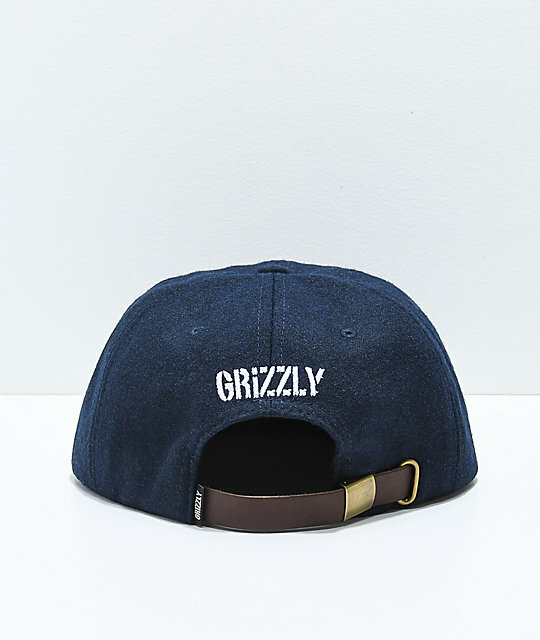 Provide your skate inspired looks with Grizzly's signature Antique OG Bear Strapback Hat. This accessory offers a vintage aesthetic featured with the brand's iconic OG Bear emblem as a copper pin on the front crown while the back displays embroidered logo script. 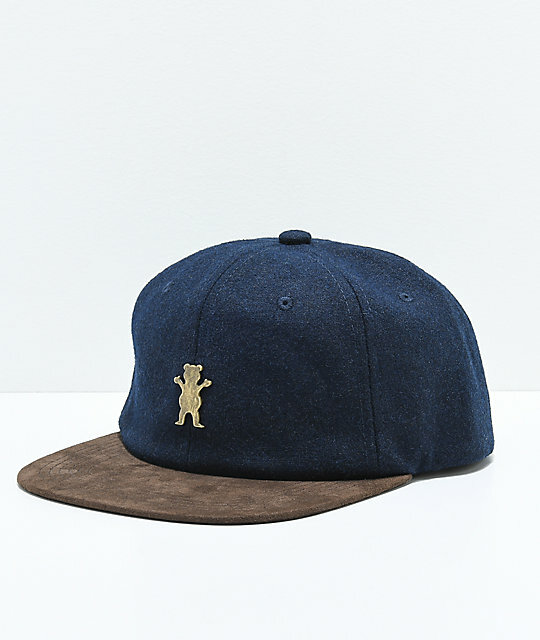 Antique OG Bear Strapback Hat from Grizzly. Copper logo pin on front crown and embroidered logo script on the back. Adjustable strapback sizing piece for a custom fit with brand tag. 30% wool, 60% polyester, 10% cotton.